Happy 1-year blogiversary! 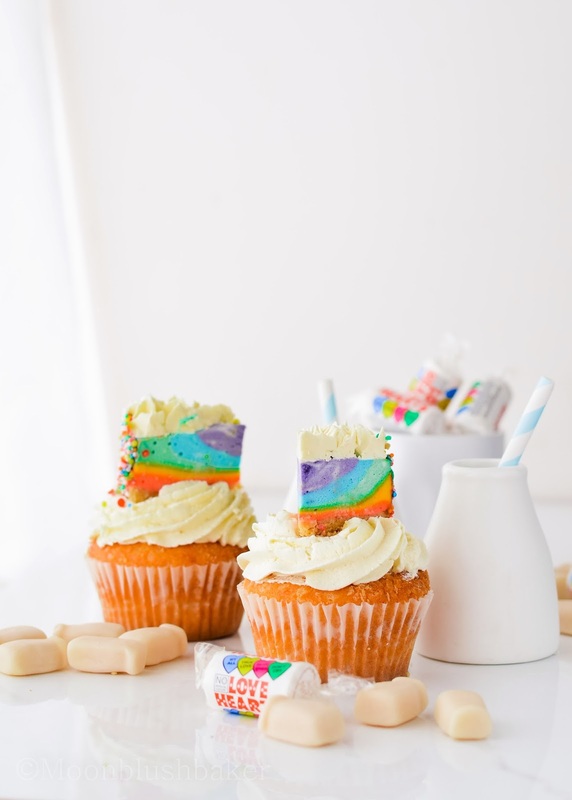 Your recipes never cease to amaze me– these cupcakes look (and sound) incredible! Happy blogiversary, Belinda! 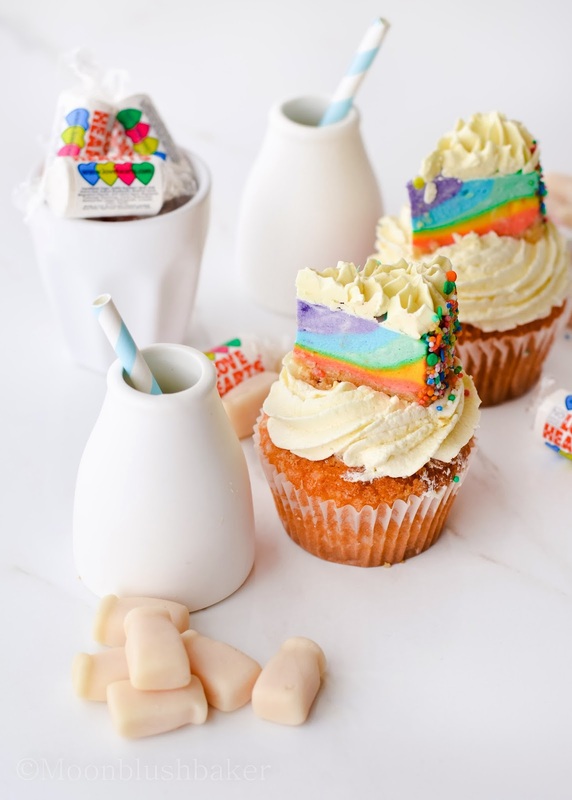 These are just about the most adorable cupcakes I’ve ever seen. (Belated) congratulations on your blog anniversary 🙂 Those little tiny rainbow cheesecakes are too cute!